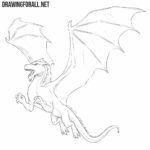 We really like fantasy and myths, and therefore our site is full of wonderful drawing tutorials of such creatures as ogre, troll, dragon and other creatures. 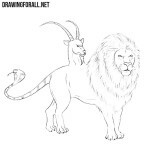 In this lesson we decided to supplement the relevant section of our site and made a lesson on how to draw a doppelganger. 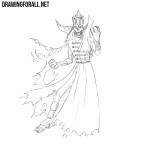 All our drawing tutorials start with a skeleton of the character and this lesson is not an exception. At first sketch out the head in a shape of an oval. Then sketch out the neck that goes to the spine. On the spine draw the chest and pelvis. The arms and legs we sketch out using simple lines. 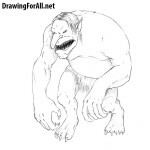 This monster had a thousand faces and to draw at least one face we need to draw lines of facial symmetry. 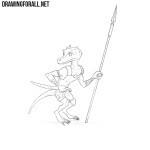 Now sketch out the torso that strongly narrows in the area of the tail. 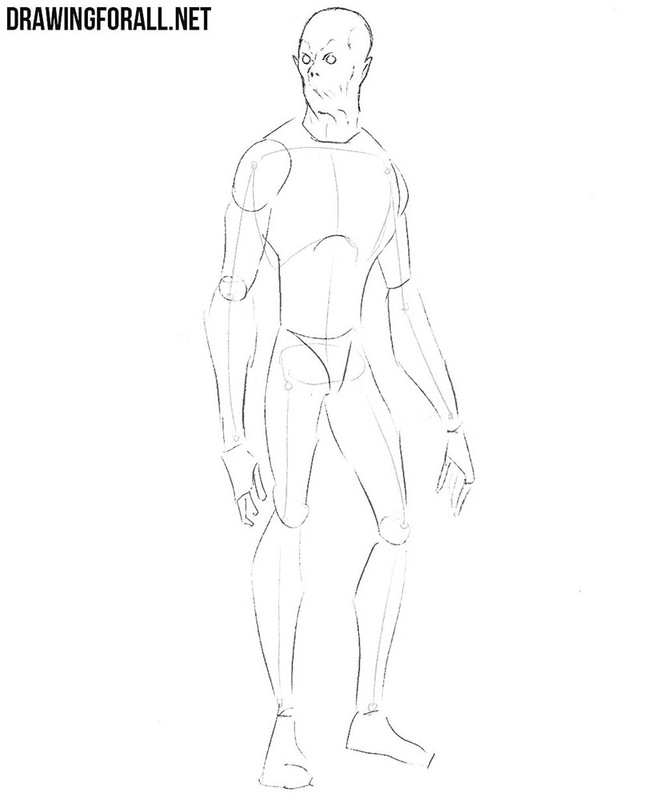 Then sketch out the arms and legs just like in our example. The “dummy” of our doppelganger is ready and it’s time to start working with detail. And as always we start with the head. First draw out the shapeless contours of the head. Then draw out the eyes, ears and wrinkles on the head. 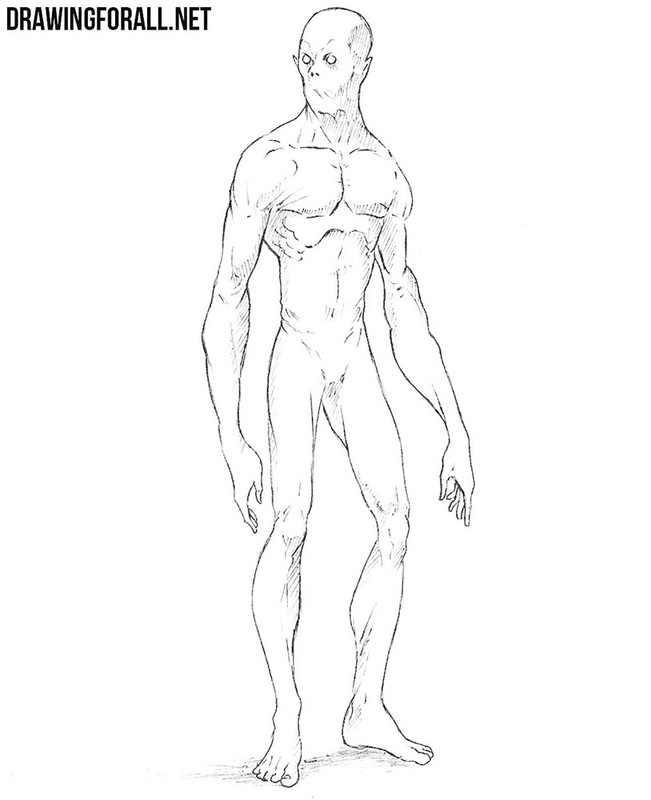 Let’s proceed to the torso of our monster. Draw out the pectoral and abdominal muscles as it shown in our example. Note that the body of doppelganger sims to consist of wrinkles. So draw them and move the step five. Let’s proceed to the long arms of our horrible mother. 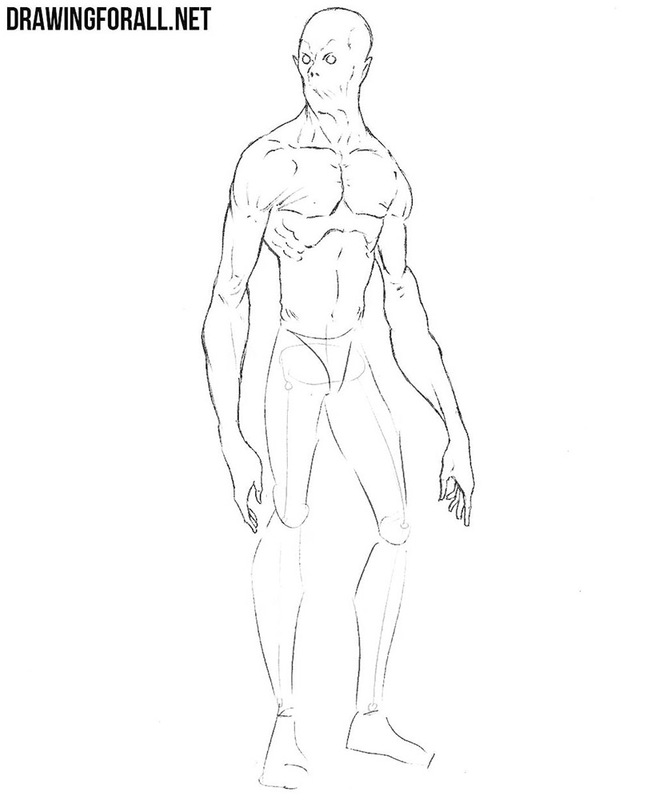 Draw the formless arms with a lot of wrinkles. Note that the shape of our monster’s body be unnatural and creepy. In this step we need to do about the same thing as in the previous step, that is we draw the legs with a lot of folds, as if he has a too much skin. Also don’t forget to erase all unnecessary guidelines from the first steps. It’s the last step of the drawing tutorial on how to draw a doppelganger where we just add shadows. We add shadows using good old hatching. We want to remind that we have a whole category called “Myths and Legends”. There you will find a beholder, mummy, minotaur and other fantasy monsters.